It seems a lot of people do ask me the same questions over and over again. All are very excited about the new Tolkien book and all want to know so many things about it! So I send some questions to HarperCollins and made it into THE CHILDREN OF HURIN FAQ. Once I will have more frequently asked questions, i'll try and get an answer from HarperCollins and make this Faq even bigger. Q: How did The Children of Húrin come about? The Children of Húrin, begun in 1918, was one of three ‘Great Tales’ J.R.R. Tolkien worked on throughout his life, though he never realised his ambition to see it published in his lifetime. Some of the text will be familiar to fans from extracts and references within other Tolkien books but this is the first time the entire story has been presented in its complete form. As Adam Tolkien elaborated in a recent interview: ‘This is a more difficult question than it seems: As you know, versions and pieces of the story of Húrin and his descendants have been published in various works (The Silmarillion, Unfinished Tales, The Book of Lost Tales, The Lays of Beleriand, etc). The text of The Children of Húrin is in part compiled from these extant texts, and particularly that which appears in Unfinished Tales. ‘But it is a new reworking of the complete story. Many parts of the text will be – if not identical – recognizable to the knowledgeable reader, but there are also pieces that have never appeared before. Also the format of the text, as a standalone and complete text with no editorial commentary to interrupt the tale, should in itself and in my opinion considerably transform the reading experience. Q: What is Christopher’s contribution to the book? Christopher Tolkien has painstakingly edited together the complete work from his father’s many drafts, and this book is the culmination of a tireless thirty-year endeavour by him to bring J.R.R. Tolkien’s vast body of unpublished work to a wide audience. Having drawn the distinctive maps for The Lord of the Rings more than 50 years ago, Christopher has also created a detailed new map for this book. Q: What is Alan Lee’s involvement in the book? 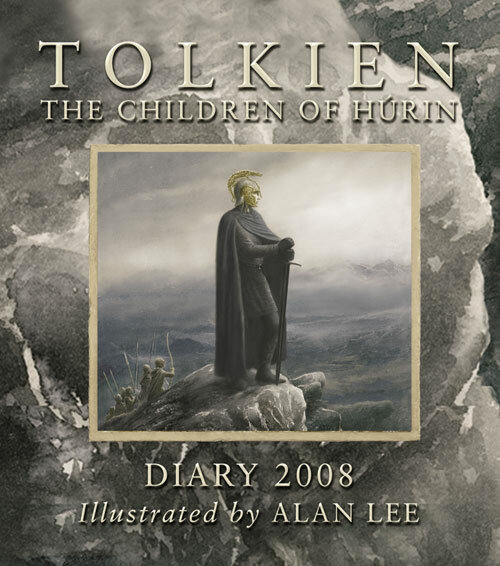 In addition to the text The Children of Hurin will include a jacket, colour paintings and pencil drawings by Alan Lee, illustrator of The Hobbit and The Lord of the Rings Centenary Edition and Oscar®-winning designer of the film trilogy. Q: Can you show me one of the illustrations by Alan Lee? 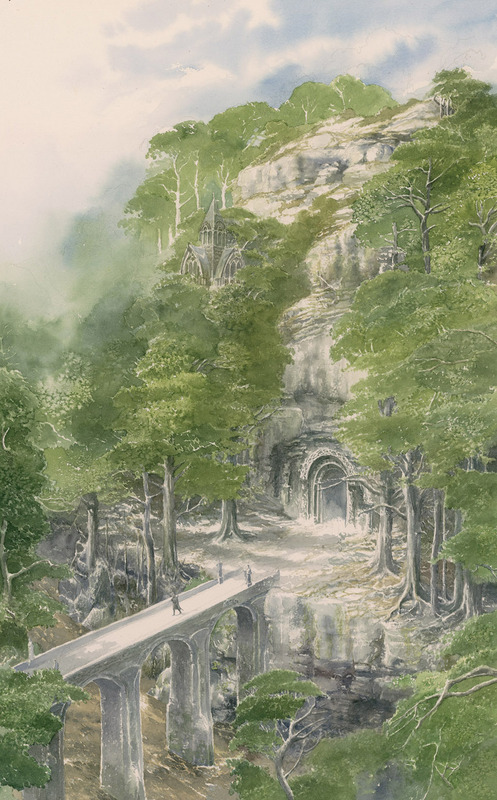 Here is Alan Lee's painting "Beleg Departs Menegroth" from The Children of Hurin, opposite page 96. It is the first interior painting released by HarperCollins. Q: Can you show me the trailer that was made for the release of this book? I received this trailer from the US publisher Houghton Mifflin, you can go and see the UK trailer at tolkien.co.uk. Q: What is the story of The Children of Hurin about? Also called "The Tale of Grief", "Narn i Chîn Húrin", commonly called "The Narn", tells of the tragic fates of the children of Húrin, his son Turin (Turambar) and his daughter Nienor. [SPOILER] For those who want to know even more about the tale I will give a brief summary and give a guide how to read the story (if you cannot wait for the new completed version of The Narn). The story starts (in the published Silmarillion) with the childhood of Túrin, continuing through the captivity of his father in the Nirnaeth Arnoediad, and Túrin's exile in Doriath, to Túrin's time in Nargothrond, his unintentionally incestuous relationship with his sister Nienor, and ultimately ending with suicide by his sword Gurthang after having slain Glaurung. As a point of reference regarding the names of the main characters: In this story, Túrin renames himself Turambar, meaning Master of Doom in the High-Elven speech, with a vow to turn aside from the darkness that had ruled his early life. His sister Nienor is also called Níniel, meaning Maid of Tears. She is renamed by Turambar himself after he finds her alone and in distress in the woods. Only much later does he learn her real name and origins. The section ends with the Elves calling them by the names of Túrin Turambar Dagnir Glaurunga (as the slayer of the Dragon Glaurung) and Nienor Níniel. The story of the Narn continues in the Later Narn (which you can read in the Unfinished Tales). The last part of the story (published as "the Wanderings of Húrin"), a text which was found to be too different in style from the rest of the Silmarillion, but which continues the Narn past Túrin's death and ends with Húrin's eventual release and the bad deeds which come from that (read in The War of the Jewels, part 11 of the History of Middle-earth series). 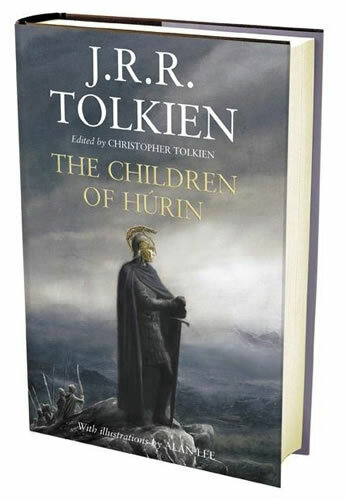 Q: Have excerpts of teh Children of Hurin been published before? Of course excerpts of The Children of Húrin have been published before, namely in The Silmarillion (prose), Unfinished Tales (prose), in The Book of Lost Tales partII (prose), in The Lays of Beleriand (verse in allitterative long-lines) and the most recent in 1994 in The War of the Jewels (prose), but this part will not be inside the new "The Children of Hurin". In the body of The Silmarillion, we find it as the second of the three tales which Tolkien wrote in succession while on medical leave from the British army during 1917 through the spring of 1918: "Of Beren and Luthien", "Of Turin Turambar", and "Of Tuor and the Fall of Gondolin". In Unfinished Tales we have a detailed, though unfinished and, in parts, interrupted narrative version of the poetic tale about the Children of Húrin told once long ago by the poet Dírhavel and called "Narn i Hîn Húrin" - Sindarin for "The Lay of the Children of Húrin". The present narrative is the Tolkien father and son tandem's version of the story. In 1984 we find excerpts in The Book of Lost Tales Part II, the second volume of The History of Middle-earth as "Turambar and the Foalókë" and "The Nauglafring". The Lays of Beleriand, the third volume of The History of Middle-earth, consists of two extensive poems by J.R.R.Tolkien having to do with the Eldar Days. They are the Lay of the Children of Húrin and the Lay of Leithian. The first of the poems "the Lay of the Children of Húrin", his early but most sustained work in the ancient English meter, intended to narrate on a grand scale the tragedy of Turin Turambar. More on Húrin can be found in The War of the Jewels, the eleventh volume of The History of Middle-earth series, published in 1994, in "The Wanderings of Húrin". These additional narratives involving Húrin and the tragedy of his children, "The Wanderings of Húrin" is the conclusion to the "Narn". It was not included in the final Silmarillion because Christopher Tolkien feared that the heavy compression which would have been necessary to make it a stylistic match with the rest of the book would have been too difficult and would have made the story overly complex and difficult to read. These will for the same reason not be included in "the Children of Hurin". The Tale about the Children of Húrin comes from the ancient times of the First Age and is a beautiful and touching story about the tragic fate of Húrin's family from the house of Hador Goldenhead "the Lord of the Edain". Húrin was the Man who dared directly defy Melkor and was cruelly punished for this by the mighty Vala. It tells the account of the killing by Turin of his friend Beleg, as well as a unique description of the great redoubt of Nargothrond. Q: What formats will The Children of Húrin be available in? The Children of Húrin will be simultaneously published in two editions – a standard hardback edition at £18.99 (ISBN 0-00-724622-6) and a de luxe slipcased edition at £60.00 (ISBN 0-00-725223-4). Q: What will be included in the hardback book? Q: What will be the table of contents for the children of Hurin? Contents data are machine generated based on pre-publication provided by the publisher and info was recovered from the Library of Congress. Contents may have variations from the printed book or be incomplete. This table of content comes from The Children of Hurin first proofs (10/1/07 16:15) of the Houghton Mifflin Edition. Q: What will the hardback book look like? "For Túrin put on again the Helm of Hador; and far and wide in Beleriand the whisper went, under wood and over stream and through the passes of the hills, saying that the Helm and Bow that had fallen in Dimbar had arisen again beyond hope. (...) And Túrin named himself anew, Gorthol, the Dread Helm, and his heart was high again. In Menegroth, and in the deep halls of Nargothrond, and even in the hidden realm of Gondolin, the fame of the deeds of the Two Captains was heard; and in Angband also they were known. Then Morgoth laughed, for now by the Dragon-helm was Húrin's son revealed to him again; and ere long Amon Rûdh was ringed with spies." . Q: What will be in the de luxe edition? 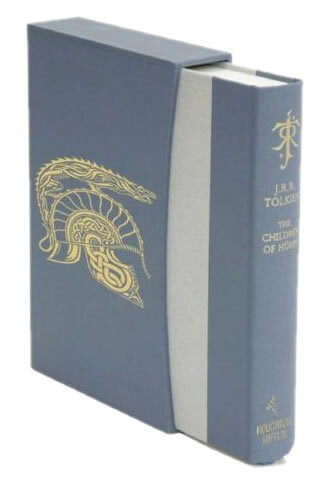 The de luxe edition will be housed in a custom-built slipcase; it will include the cover painting as an exclusive frontispiece; be decorated with a unique foiled motif created specially by Alan Lee for this edition; include a silk ribbon marker; and will be produced using superior materials and binding. 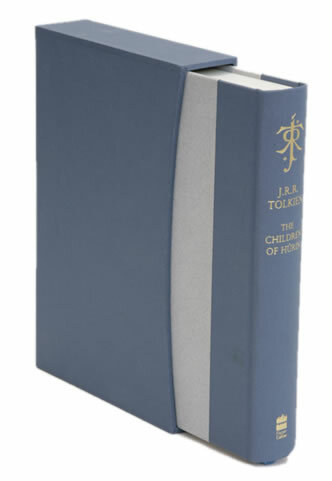 It will be the perfect companion to de luxe editions of The Hobbit and The Lord of the Rings. It is being published alongside The Children of Húrin hardback in April 2007. Both HarperCollins (UK) and Houghton Mifflin (US) have released images of how the Deluxe Editions will look like. Probably both are still not the final image yet it gives a nice preview of what we can expect. At this time there are no plans for there to be a signed edition. In september 2007 there will be published a large type edition. Q: Where can I buy the books from? From the 17th April the book will be available in all good bookstores, including Waterstones, Borders and WHSmith. Q. Will there be a US version of the book? 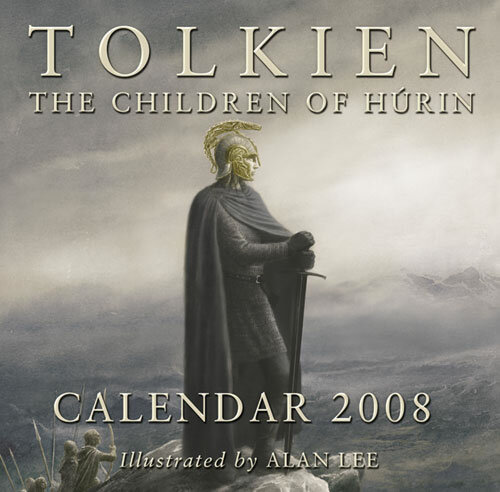 Q: How will the Tolkien Calendar 2008 and Tolkien Diary 2008 look like? The official Tolkien calendar, this year containing 12 of the finest watercolours by Alan Lee, selected from ‘The Children of Hurin’ by J.R.R. Tolkien and other works illustrated by Alan, and accompanied by numerous pencil sketches, many unique to this calendar. sketches by acclaimed and Oscar-winning Tolkien artist, Alan Lee, from the newly published ‘The Children of Hurin’, J.R.R. Tolkien’s epic tale of adventure set in Middle-earth. • Features 13 delightful new paintings & numerous illustrations by the acclaimed and Oscar-winning artist. • All scenes in this year’s diary come from The Children of Hurin, the newly completed tale of Middle-earth by J.R.R. Tolkien. • Contains material exclusive to this edition. Q: When will the new website be up and running? We are currently working on redesigning the Tolkien website www.tolkien.co.uk and we are aiming to have the new site live at the beginning of March 2007. If you would like to receive further information and be kept up to date with news about the impending book launch then please visit the site from March and register your details. Q: Will Christopher Tolkien be doing any signings? Christopher Tolkien will regrettably be unavailable to attend any signing events. However, Alan Lee will be signing copies of the book in the UK and further details of these events will be available here. Q: Will there be any life event for the release? 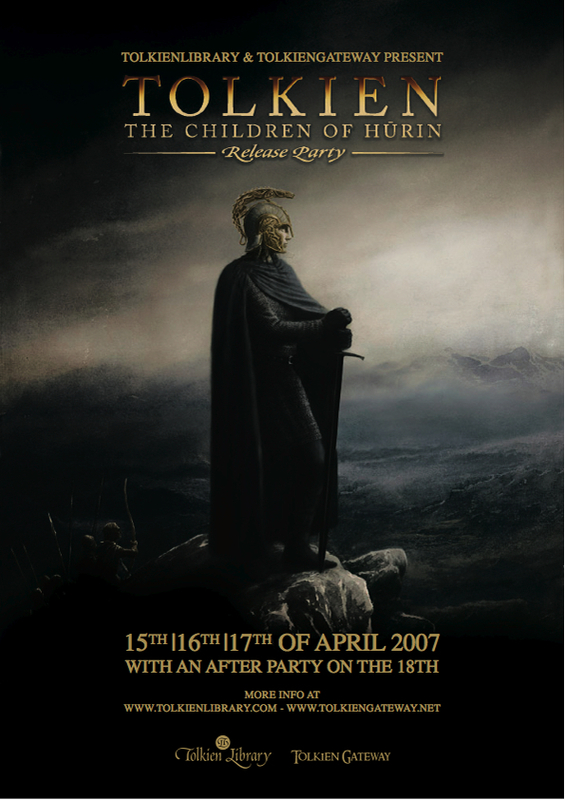 The Children of Húrin Release Party is an online event which will take place around the release date of The Children of Húrin, the new book by J.R.R. Tolkien, due for worldwide release on Tuesday 17th April 2007. The release party will take place online at irc.tolkiengateway.net for three days in a row on April 15th, 16th and 17th 2007, and is being organized by TolkienLibrary.com and TolkienGateway.net. There will be an after party on April 18th. Q: Will any review copies be available in advance of the publication date? No review copies are being sent out as we want fans to read the book when it is published and not have had their reading enjoyment spoiled by details of the story being revealed in early reviews.